CAVU Designwerks Inc. (CAVU) announces the opening of its Flying Theatre in Changsha, China. The Flying Theatre is a “turn-key” attraction delivered to the Macrolink Group as part of the Tongguan Kiln International Cultural and Tourism Center. 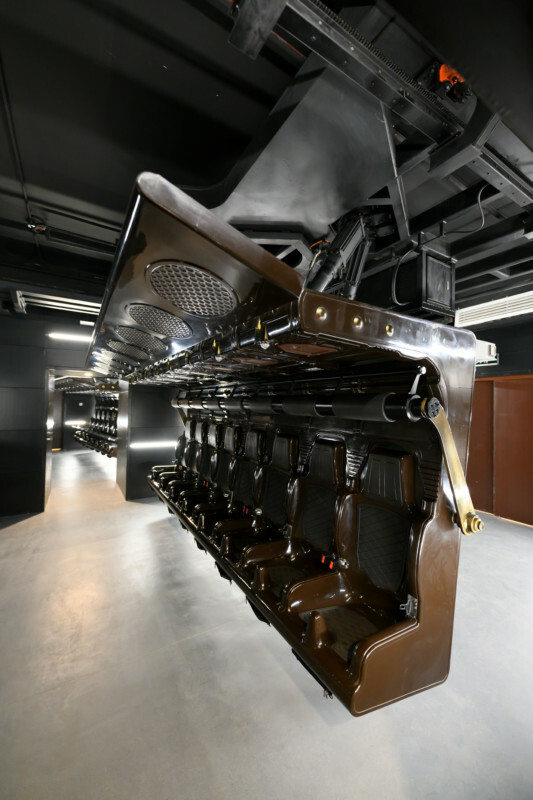 Since the opening in October 2018, Macrolink has experienced unparalleled success with CAVU’s Flying Theatre, with a constant flow of guests and a busy queue line. “Beautiful Hunan” is the leading attraction in the cultural center. The Tongguan Kiln Ancient Town portrays the 1200-year heritage of Changsha city in Hunan Province, known for its porcelain craftsmanship from the Tang Dynasty. This historical and cultural project was awarded the model tourist project under China’s ‘Belt and Road’ initiative and is a nationally recommended tourist destination. During a 6 minute journey The Flying Theatre allows guests to visit the most beautiful locations in the Hunan province The media is detailed and extremely realistic, it allows guests to be fully immersed in the beauty of the region. 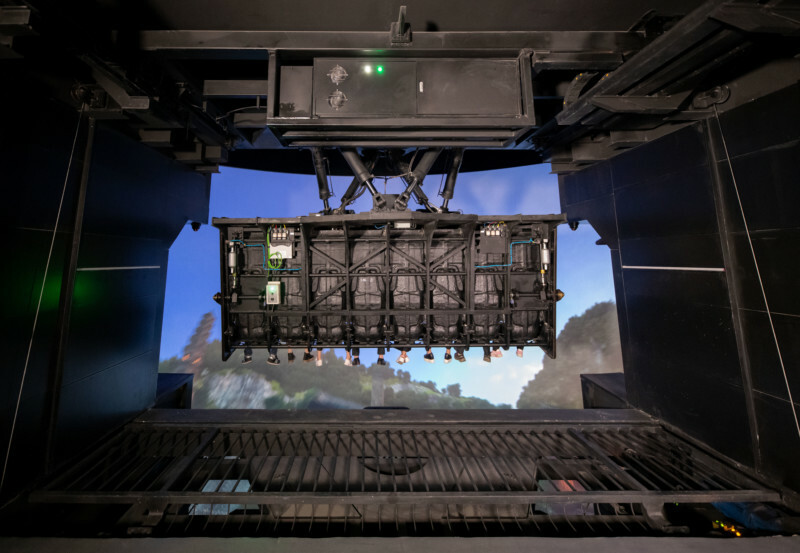 “The combination of a smooth, silent and responsive ride system syncing with media that weaves spectacular live action flying imagery with very active visual effects sequences, and an immersive state of the art projection and audio system, creates a new level of audience engagement and suspension of disbelief” says Arish Fyzee, Creative Director at PRANA Studios. CAVU brought together experts in each component of the Flying Theatre to create an incredible experience. As turnkey provider, CAVU assembled all aspects of the project, including media, AV equipment, programming and attraction design. “After being involved in many Flying Theatre Projects all over the Globe I am happy to say that this CAVU Flying Theatre Attraction is the most incredible we have been involved with as the High End AV and Screen Supplier” Said Manfred Meier, CEO Kraftwerk Living Technologies. “Highest Quality executed in the shortest period of time – many thanks to the entire Project Team”. The Tongguan Kiln Ancient Town is a large cultural complex with a total construction area of 1.1 million square meters. The Town has 8 museums, 5 performing centers, 3 luxury hotels, 18 cultural attractions and 4 children’s amusement parks. The Tongguan Kiln Ancient Town is expected to host more than 5 million tourists each year. CAVU was selected for this project due to its proven track record of delivering exceptional guest experiences on time and on budget. This was showcased in the efficient and timely manner in which the Macrolink project opened. Guests have left full of excitement from the exhilarating views and the exceptional quality of all of the attraction components.